Bought the MicroDim advertised as for the Short Wing Piper. Working behind the panel is quite a challenge. Had to remove the access panel and pull the altimeter to get access. Found the compass light wire cut at the compass. Today's task is to find out where the compass light power wire is now terminated. Wire disappears up towards the firewall. Can't imagine it being used to power up something as it's off the rheostat. Anyone know the original routing of the compass ight power wire? I've found a few interesting things. One is that the wire runs from the rheostat to knife splices and then forward towards the fire wall and the splice insulation covers the entire length of the wire as far as I can track it. Still unable to determine routing and where it was cut to deadline the compass light. Thirdly the wire at the compass is about one half the diameter of the wire off the switch. I am curious if Piper used a lit compass? I have a factory harness in a box somewhere and will have to look and see. Will let you know what I find. Schematic and wiring diagram for the Colt show an ighted compass. I've reviewed several prints and it looks like the compass light is powered off the nav light rehostat. Routing seems to be directly vertical as the compass is located directly above the nav light switch. As I've noted in earlier posts, in my situation the wire off the rheostat goes forward towards the fire wall. Still trying to find where it terminates. All very strange as the routing seems factory original. Be very interested in what you find. Got the new switch installed. Found that the old switch, which is original and appears to be wired in from the factory, had the wing position lights wired to the rheostat. 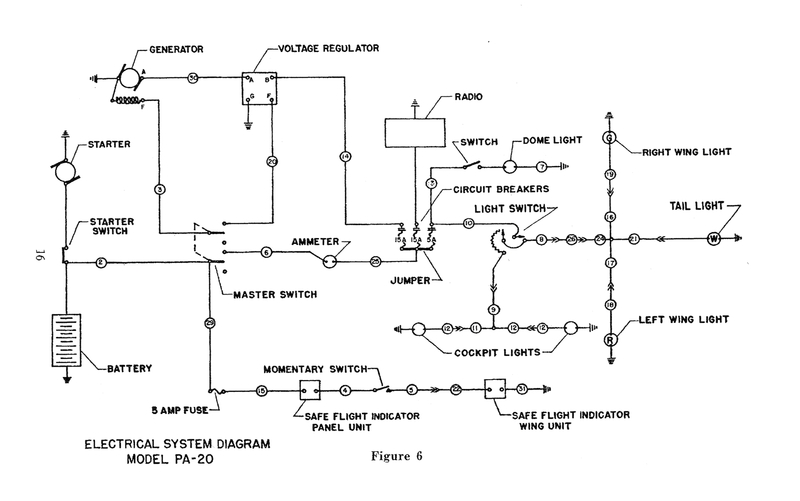 Tail position light per the schematic power off the on/off feature of the factory set up. Anyone know of such an arrangement? Dimmable position lights?